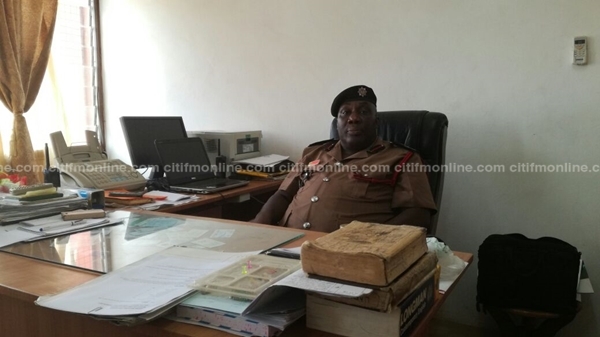 The Eastern Regional Fire Service Commander, ACFO Joshua Nguah, has expressed worry about the recent increase in vehicular accidents recorded in the Eastern Region, even before the end of the first quarter. About 11 accidents have occurred in some parts of region in the month of February alone, with over 32 casualties and 16 deaths, including the death of the former Member of Parliament for the Akwatia Constituency. In the early hours on Tuesday, February 28, three persons lost their lives with 9 others injured at Omenako, a town in the Suhum Municipality, when the vehicle they were travelling in ran into a parked articulated truck by the roadside. ACFO Nguah blamed some of these accidents to the absence of white markings on the road, which he said makes it difficult for drivers at night, and the failure of heavy trucks to use triangle reflectors to caution other road users. “Secondly, bigger trucks who faces challenges and suffer breakdowns in the course of their journey leave their trucks at the edge of the road without using reflective triangles to warn approaching vehicles. The recent accident which led to the death of the former member of parliament for Akwatia is as a result of somebody’s negligence; it could have easily been avoided if the truck which was parked at the roadside had triangular reflector warning sign displayed,” he said. Nguah thus called for a collaborative effort from the Police service, the National Road Safety, Ghana Highways Authority, and other stakeholders to reduce the carnage on the roads. “Going forward, I believe one of the measures we can employ to avert the carnage on our roads is that we should collaborate with all the stakeholders. The Police needs to inform us the fire service; give details on broken down trucks parked on sides of the roads; we have machines we can use to tow these trucks from the roadside to safer places.